Attention deficit hyperactivity disorder or ADHD is one of the most chronic disorders among teenagers. According to a survey, this medical condition affects around 8-10 per cent of children and teens. What’s more surprising? The medical conditions of ADHD affect more boys than girls. And if ADHD itself wasn’t enough of a problem, the misuse and sharing of the medication pose a greater threat to the lives of young adults. What are the causes and symptoms of ADHD and why should it be treated? Owing to the undisciplined lives that we lead and the dysfunctional families that most teens come from, most of them are diagnosed with ADHD at a very young age. Many doctors think that excessive exposure to the reel life through TV or the internet and the superficiality of social media life are strong reasons why kids develop an attention deficit disorder. Teens with ADHD are often hyperactive and inattentive. They act impulsively and are restless – you will barely find them sitting in one place or doing an activity that requires patience and attention (like, reading books or solving puzzles). Although ADHD leads to restlessness, which is common in kids anyway, the medical condition can mess with an individual’s life as he or she grows up. Children diagnosed with ADHD are usually the troublemakers at school, and their academic underachievement often leads to drug abuse. What starts with poor academic performance and school complaints soon escalates to more serious problems like indecisive nature or difficulty in maintaining relationships. ADHD can tinker with one’s adolescence and adulthood alike. And that is exactly why doctors prescribe medicines that increase attention in children by cooling the nerves. Being parents to teens is no less than a challenge. With all the drug abuse – be it alcohol or non-prescribed medication - it is quite tough on a parent or a caregiver’s part to be able to save their wards from the evil claws of it. Swiping antidepressants for quick cash in a dark corridor of a high school is nothing uncommon among the teens. Despite the measures that are being taken by the school authorities, most young adults are misusing their ADHD medication prescriptions to supply drugs to their friends and peers, who do not have access to the ADHD stimulant medicines and antidepressants. Therefore, just like the parents of ADHD diagnosed children, the parents whose kids are involved in this drug sharing fiasco now have a valid reason to be worried too. To get a better understanding of the gravity of the situation, parents need to understand the complication of ADHD medication. Basically, there are two types of ADHD medication – stimulant and non-stimulant. Most doctors prescribe stimulant drugs to treat ADHD in children, because it is more effective. The non-stimulant drugs like Atomoxetineare are prescribed by doctors only when a teen or a young adult does not respond to the stimulant drugs. When it is about safety, both the drugs are safe only when taken according to the doctor's advice and in the prescribed amount. Since ADHD medication affects certain areas of the brain, an overdose of the drug can lead to irritability, insomnia, decreased appetite and fatal consequences like hypertension and drying up of cranial nerves. How are teens misusing, sharing and abusing ADHD Medication? Considering the fact that today’s youth love living on the edge, the stimulant drugs are the perfect shortcuts that can give them the much-needed kick for living their lives. This leads to the stimulants being shared, misused, and abused. To some extent, parents share the blame too. The pressure that they create on the children to outperform other kids in the class often leads them to these shortcuts. After consuming the drugs, students can work for a longer span, with better concentration and high energy levels. What is the after effect of this heinous crime? Yes! Sharing ADHD medication is no less than a crime. It can even land a kid behind bars. For oneself, i.e. by consuming more amount than what is prescribed (or consuming the correct dose in an increased frequency). For others, i.e. by using one's prescription to supply ADHD stimulants to teens who do not suffer from the medical condition. In both the above-mentioned ways, teens are engaging in drug overdose, which can lead to an addiction. Over time, it can interfere with their bodily functions and mental well-being. ABUSE, however, is a much stronger word than misuse. Like drug or alcohol abuse, teens who are diagnosed with ADHD (and even those who aren’t) often become dependent on these stimulants which lead to compulsive substance usage in larger doses. We all have an idea of the immense pressure of the educational system. Teens are always under the weight of performing well in their exams. Failing in scoring the best grades or being unable to socialize encourages the teens to use these drugs for the extra boost of focus and energy. And that is precisely why the rate of ADHD medication sharing gains momentum right before the semester exams hit or when the students have to submit more projects at the school. Talking about high school students and young adults, ADHD medication abuse is a prevalent scenario during parties. Irrespective of how cool the parents are, no teen is allowed to drink in parties. Teens are often mistaken when they think that ADHD medicines can help them stay up even after many drinks. “I often used to buy Evekeo from a friend at double the cost so that I could stay up even after partying hard and get back home like I never drank. Initially, it worked, and my parents didn't get the slightest hint of what was going on. But it was after finishing a bottle one night and having a convulsion, that I knew that I had to stop", says a 17 year old who wants to stay anonymous. The fear of stepping on their porch in a drunken state or earning themselves a house arrest compel teens to consume these drugs. Most of them just want to stay alert even after drinking. But what they often do not realise is that the ADHD drugs can cause them to drink inordinate amounts of alcohol, thus affecting their kidneys and health altogether. How can sharing ADHD Medication affect the Teens? Be it popping a Tylenol to handle a rising temperature or a Pepto-Bismol for an upset stomach – buying medicines over the counter without a prescription is a life-claiming habit that most of us are guilty of. Now, imagine the same scenario for complicated drugs like ADHD medication. Without proper medical supervision, consuming these medicines can be risky, especially when the doses are high in amount and frequency. A prolonged misuse can lead to a severe addiction. Moreover, ADD stimulant medication has a different effect on teens having ADHD and the ones who consume the medicines for reasons other than treating the disorder. While the correct dosage of the prescribed drug can help children to become more attentive by offering a quick and short-term boost to their focus and alertness, such isn’t the case for the kids without ADHD. According to the Centers for Disease Control and Prevention, stimulant medication is recorded to have a positive impact on 70 to 80 per cent of the diagnosed teens. Right after intake, the FDA verified drugs can help reduce ADHD symptoms by soothing the nerves in our brains, thus helping it to function more smoothly. ADHD drugs aid in better memory and improves decision making skills too. So, the teens with ADHD become more focused and are able to stay organized while working. But, that certainly isn't the case for the teens who consume the medicine for reasons other than curing ADHD. Even a little dosage of the medication can make them jittery and mess with their appetite and sleeping habits. "My exams were right at the door, and I was still left with a chunk of my syllabus. I'm not an all-nighter person. So, my last resort was taking a stimulant to stay up through the night and study. But the day after, I just couldn't stay awake. My body ached with the exhaustion, and I almost slept through my exam", says Brianna, a high school students in the States. How to protect your childfrom the risks of sharing ADHD Medication? Quite often, ADD medicines lead to faster heart rates and breathing problems. And yet, teens are taking the medication, because in their lingo, they "like" the adrenaline rush and get an amazing “kick” out of the whole sensation. This makes it mandatory for the parent's (personally) and the government’s part (on a larger scale) to take every possible measure to protect and stop any chances of ADHD medication sharing among the teens. The government has introduced many laws to fight drug abuse among children. After exercising tight control on painkillers, tranquillizers and painkillers, the government is also monitoring the manufacture, distribution and supply of the stimulant medicines. These measures have brought about a remarkable fall in the rate of drug abuse among teens and young adults. But other than the federal laws, what can we do to keep a check on ADHD medication diversion? Checking Google for symptoms and assuming that your child has ADHD isn’t the right way to go. There are so many cases where the child has been misdiagnosed with ADHD and has developed an addiction to the medication. Nowadays, teens fake the symptoms to get their hands on a doctor’s prescription. So, make sure that the diagnosis is right. Often, young adults use old prescriptions to get ADHD medication. 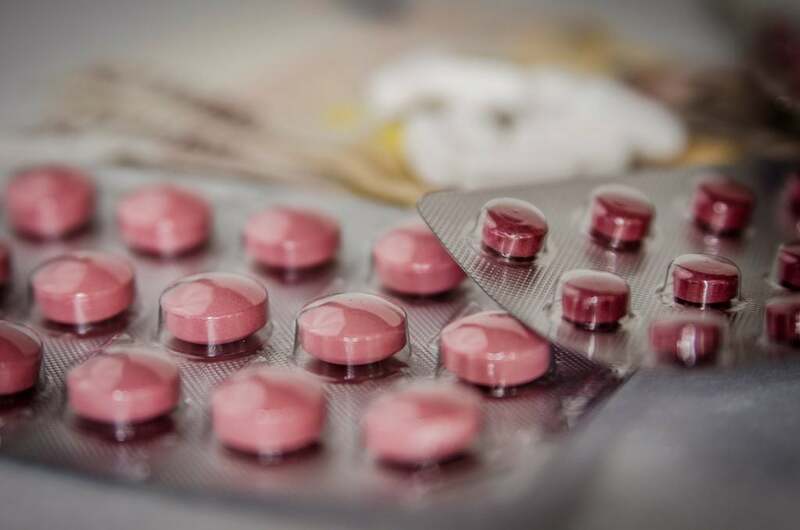 The drugstores across the country have made it mandatory that medicines will only be given against prescriptions that are not more than a month old. Moreover, do not let your kid buy their own medicines. And make sure that they do not have access to your credit cards, so that they cannot make the purchase online. Do not let your kids keep the medicines with them. Keep it with you and give them only the daily dose. Also, keep it beyond the reach of people who visit you, so that they cannot have access to it. If your teenager lives in a hostel, or in a place away from home, then teach him/her the same. Many a time, senior year students have found out medicines in the dorm room and have seized the drugs from the juniors. You can’t train your kids against something if you do not let them know what the risks are. So, share stories and explain the dangers of sharing or selling medication – both for them as well as for the one they are selling it to. Teach your child not to give a hint to his/her friends about the ongoing ADHD medication and never share the prescription. Educate your teen about the legal consequences of medication sharing. You must consider that most teenagers take to ADHD medication to be able to perform better in class. The pressure comes mainly from home. So, do not be so harsh. It is one thing to ensure that your child is a good student and a completely different ballgame to be obsessive about their academic achievements. Spare them if they score a few poor grades. Motivate them and tell them they can do better. It is only when you are aware of the seriousness, that you can train your kids to be responsible about handling ADHD medications more carefully. Talk to the school authorities if needed and notify them if you suspect any activities that are going on within the school premises. Another way to restrict ADHD medication abuse is to keep a close check on your children’s phones. See who they are engaging with online. You can even talk to a doctor or a counsellor and share your concerns and find ways to help your child.